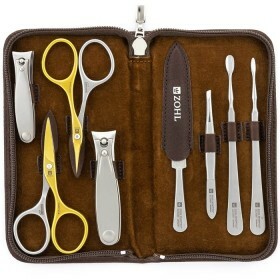 Here comes the best in class German travel kit with 2 pairs of the highest quality manicure scissors. 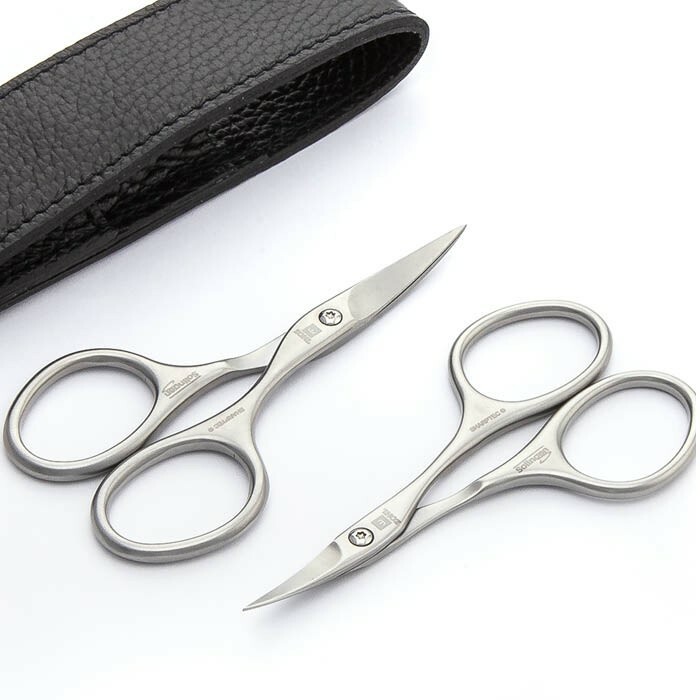 Crafted by hand from surgical stainless steel with slightly curved blades, the scissors are perfectly sharpened and guaranteed to stay sharp for many years ahead. Specially forged steel keeps the cutting edge primed for a clean and easy cut, giving you the most enjoyable nail care experience. 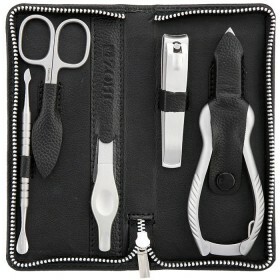 The Nail scissors feature regular blades and are ideal for fingernail trimming. 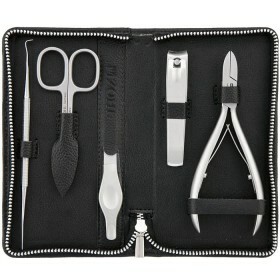 Slim Cuticle scissors with fine blades effectively remove overgrown cuticles and hangnails. 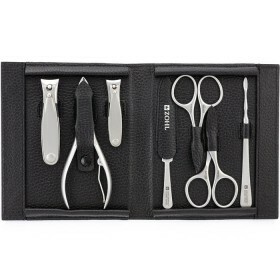 To protect the blades for long lasting service, the manicure instruments beautifully nestle in a classy black leather case with a magnetic closure, making it a perfect travel manicure set to keep your fingers in tip top shape. 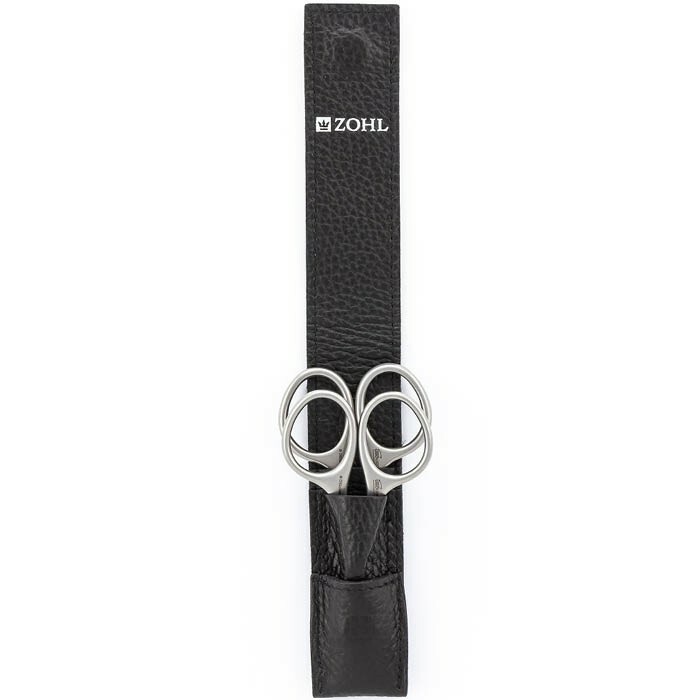 High quality manicure scissors SHARPtec by ZOHL is a treasure in anyone's personal care kit that stores only the best nail tools. The nail tools are hand made in the German city Solingen – the motherland of the world's finest cutlery distinguished by long lasting sharpness and precision of its knives, blades and manicure instruments. 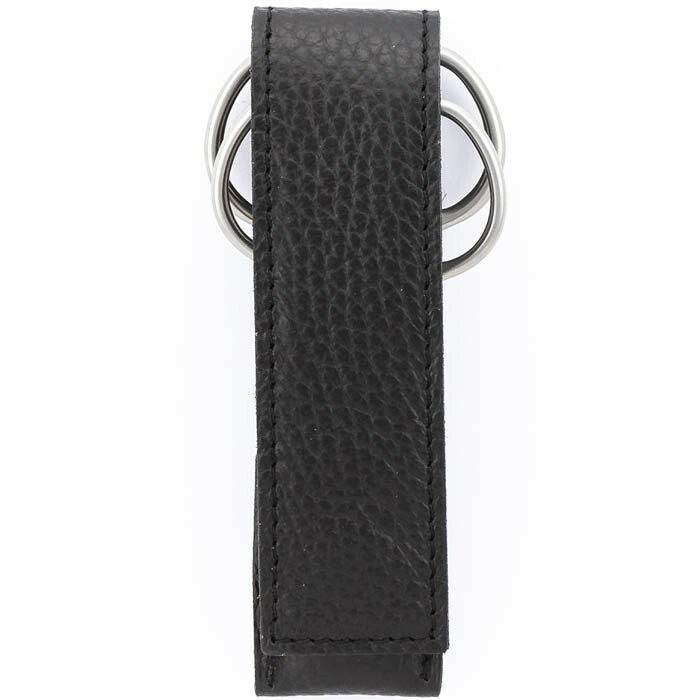 Authentic Solingen craftsmanship, carefully protected by the German Government, is a guarantee that you will use the scissors for a very long time without any need of sharpening. 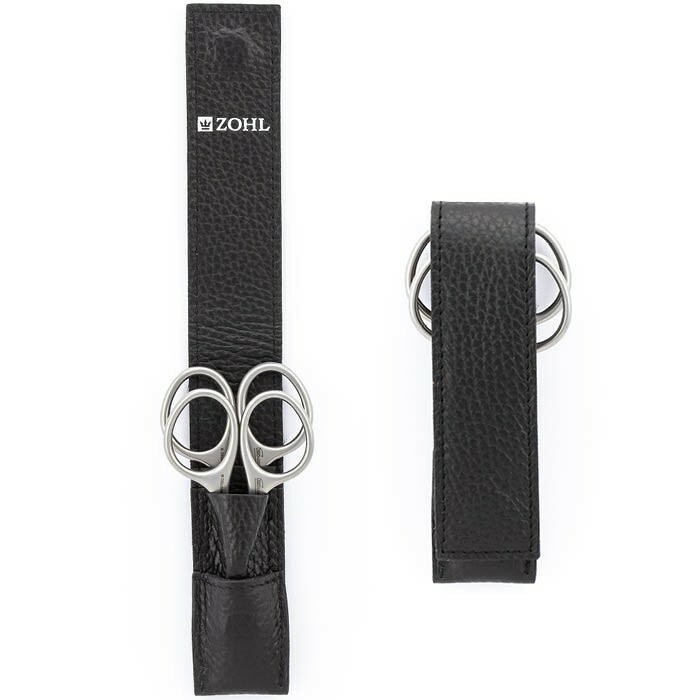 Like all ZOHL SHARPtec nail tools, the manicure scissors are made of strong grade stainless steel approved for decades in the surgical instruments. Hardened in a special way, the blades stay sharp for many years and award you with professional nail trimming, as Germans have known it for centuries thanks to their Solingen know-how engineering. Slight curve of the blades helps follow the natural shape of your nails and cuticles, without leaving jagged edges or torn cuticles. 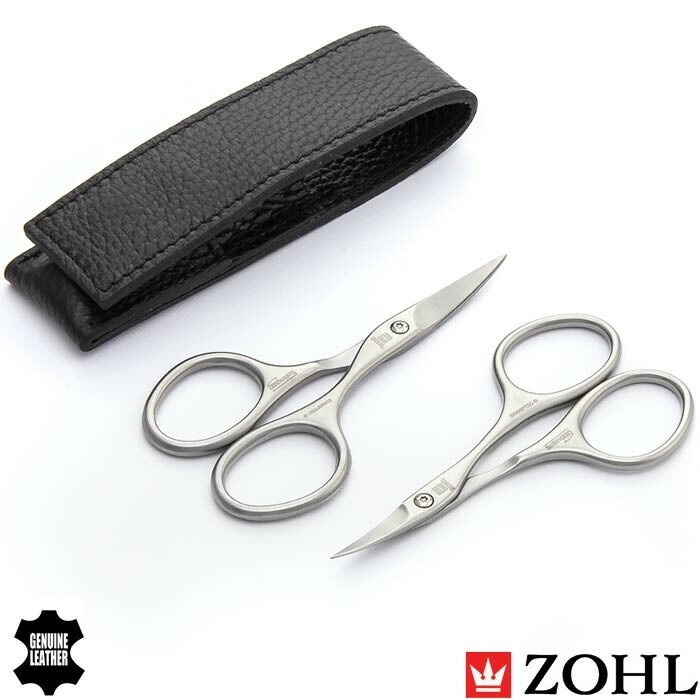 The scissors are adjusted by the Torx screw for an ideal balance and feature ergonomic handles for the most comfortable manoeuvring. 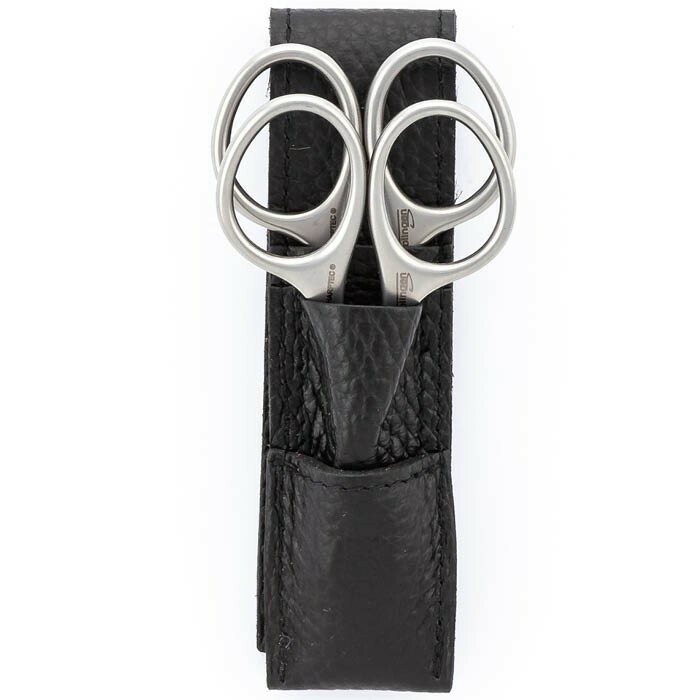 Both nail scissors are beautifully presented in the black leather case in sit in individual pockets, to protect the blades from dirt and damage. 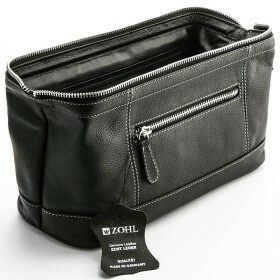 Enjoy it as your handbag manicure set or travel kit – the long lasting German Quality is the best gift to add to your nail care regimen.